Lisa from Goodiebites is all nice and tan from her working vacation to California. She’s in the mood for some tropical cake truffles for her Birthday! Yum, yum! It’s Lisa from Goodiebites once again. I’ve just returned from a wonderful trip to California. It was a great few days away from NYC. I taught some cake pop classes, spent time with family, and sipped various fruity summertime drinks. 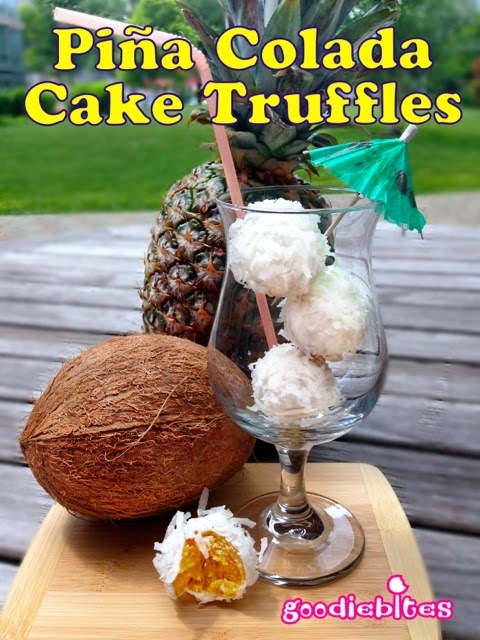 That led me to today’s tutorial – Piña Colada Cake Truffles. These are easy to make and can even be customized for special events and holidays. I’ll show you the basics as well as some helpful hints and variations to make these perfect for any summer party or barbeque, especially your 4th of July gathering. 1. 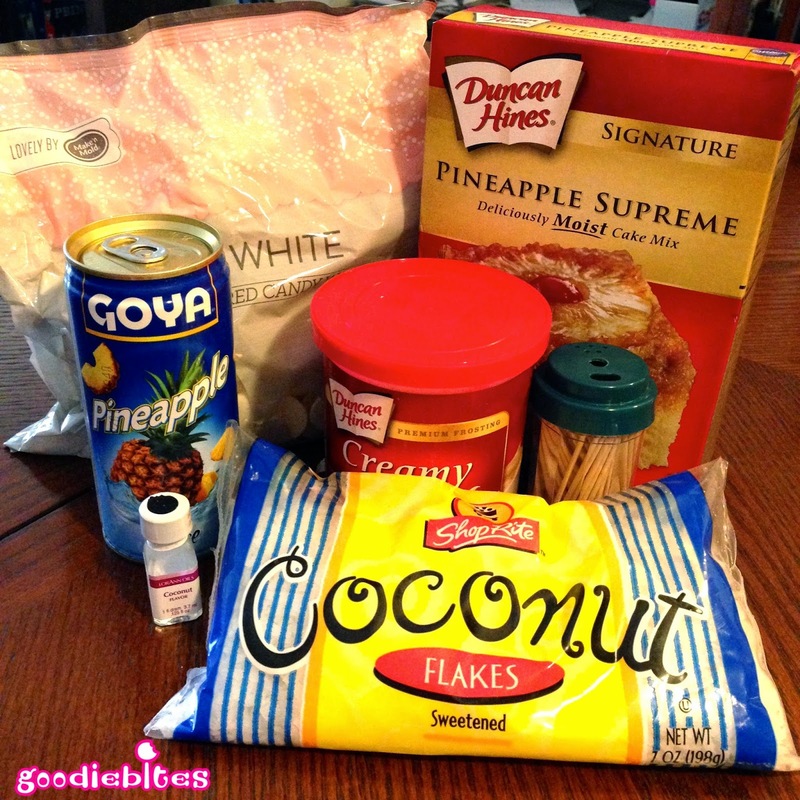 Prepare cake mix according to directions, substituting the water amount with pineapple juice if desired. Bake cake, cool and crumble, mix in a few tablespoons of frosting, roll, and chill cake balls just as you normally do. **HELPFUL HINT- NEVER use more than ¼ cup oil when making cake pops/balls, no matter what cake mix you are using. This will make the cake too oily and may cause leaks through the candy coating when dry. It also yellows the sticks faster. 2. When cake balls have chilled a bit and are ready to dip, melt your white candy coating. Add a few drops of the Coconut flavored oil. You won’t need too much as the oil is pretty powerful. **HELPFUL HINT- When adding any type of flavoring to candy coating, it must be in ‘OIL’ form. Do not use extracts, juices, or any other non-oil flavoring or this will cause your melted candy to ‘seize’ and harden. There’s no fix for that and you won’t be able to achieve a smooth coat once this has happened. 3. 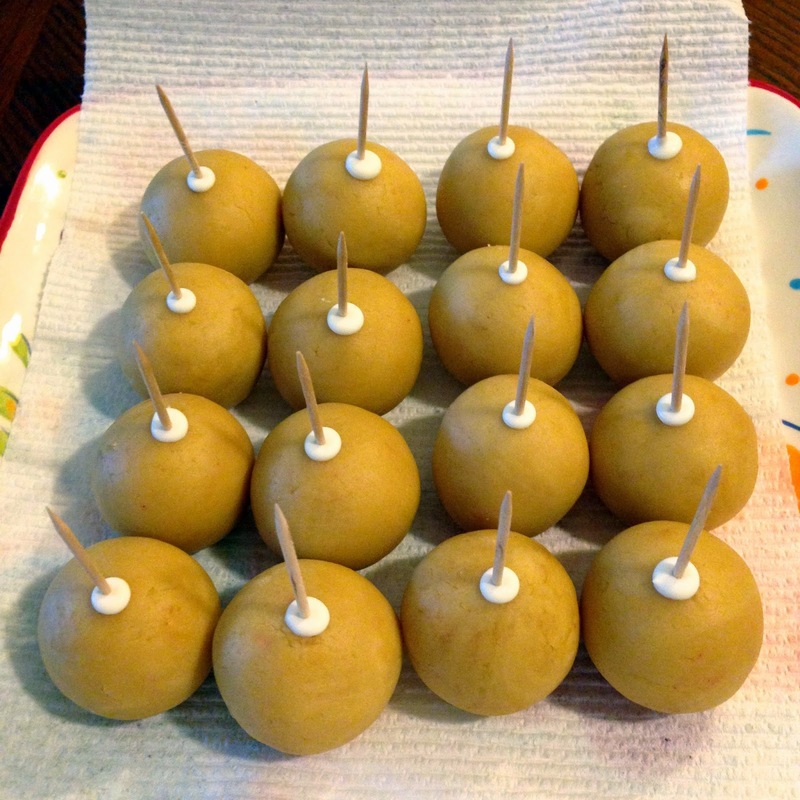 Dip toothpicks into candy coating and then insert into cake balls. Let them sit a few minutes to firmly set. 4. 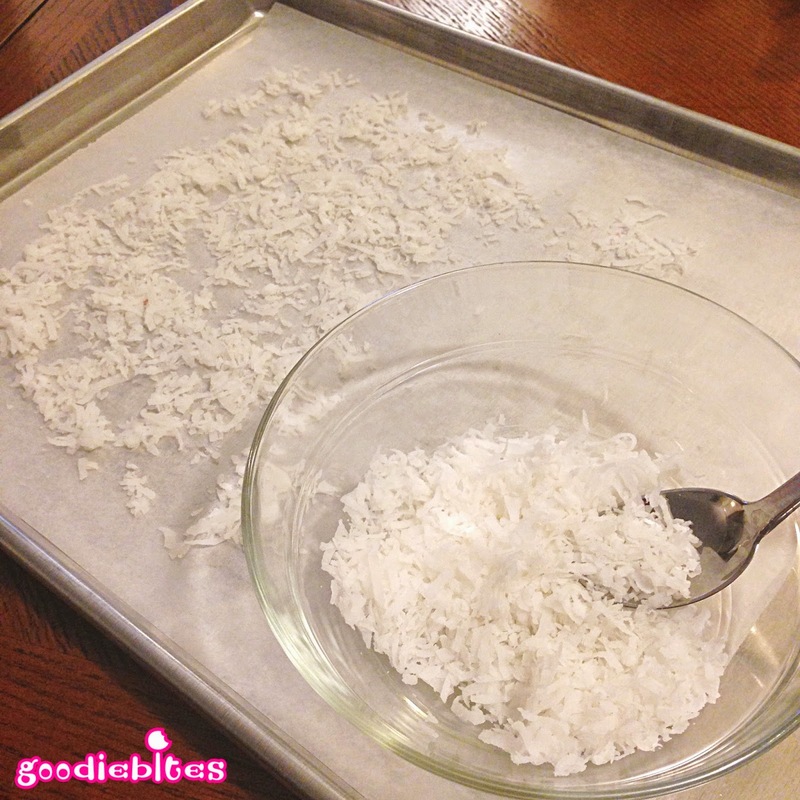 Pour coconut flakes into a large bowl. Line a baking sheet with waxed paper and spread a thin layer of coconut on that as well. 5 – Holding on to the toothpick, dip balls into melted candy and shake gently to remove excess coating. While still wet, spoon coconut flakes all around top and sides of cake ball. Sit coated balls upright on coconut-covered waxed paper. Allow to dry and harden. 6. Once coated pops have hardened and set, hold cake ball in one hand and gently twist toothpick out. Fill small remaining hole with candy coat. And there you have it – Piña Colada Cake Truffles. **HELPFUL HINT- If you want to make it even more festive, perhaps for a 4th of July celebration, you can tint the coconut shreds red and blue before sprinkling it on the cake balls. Using separate bowls for each color, mix in a few drops of food coloring or gels. Then place them all together along with some white shreds into a larger bowl and stir GENTLY (so they don’t all mix into one big bowl of purple shreds). Proceed as instructed above. **HELPFUL BOOZY HINT- You can also replace the water in the cake mix fully with rum – pineapple or coconut flavored would be better! – and bake as directed. Then add a little more to the cake crumbs along with the frosting before you shape the balls. Just make sure you mark these ‘Adults Only’!! Thanks for allowing me to share this with you. Have a safe and happy summer! Thanks so much Lisa for another great cake pop tutorial! 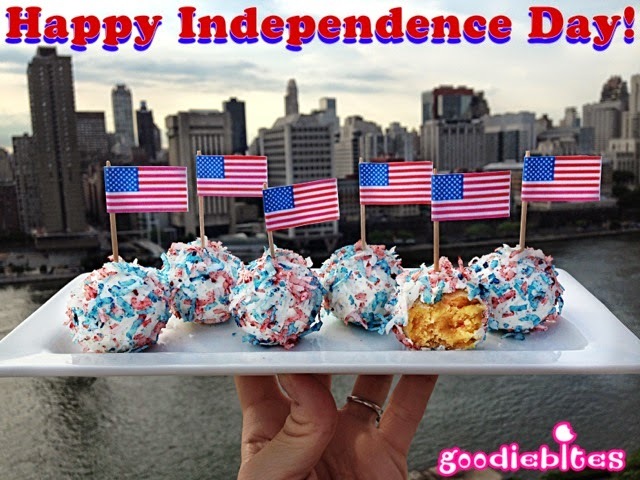 Please follow Goodiebites on Facebook and check out her cake pop classes in New York City and coming soon to Texas! Don’t forget to check out her online shop.